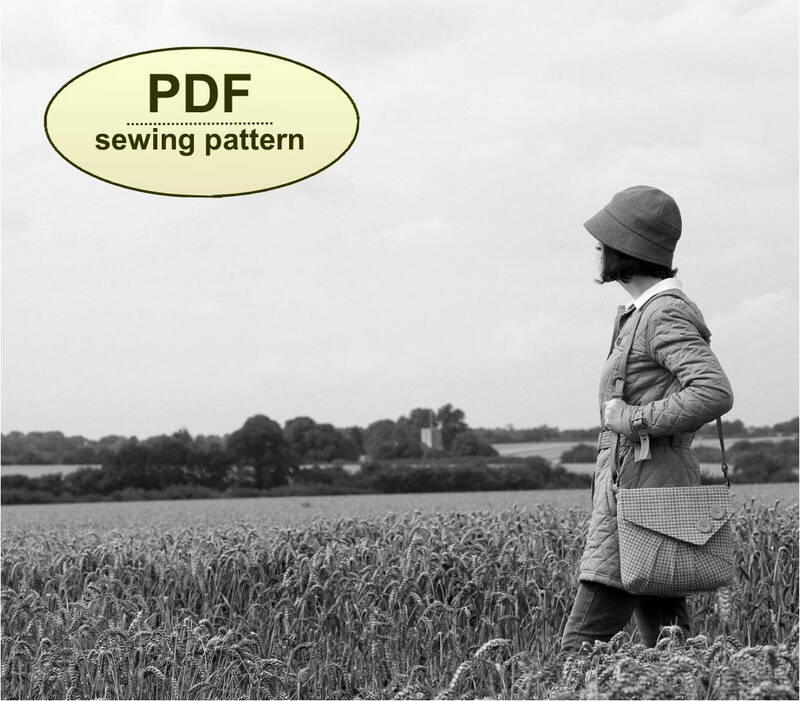 This is a PDF sewing pattern for The Reepham Messenger Bag, a neat messenger bag in 1940s utilitarian style with asymmetrical detailing, softened with pretty pleating. 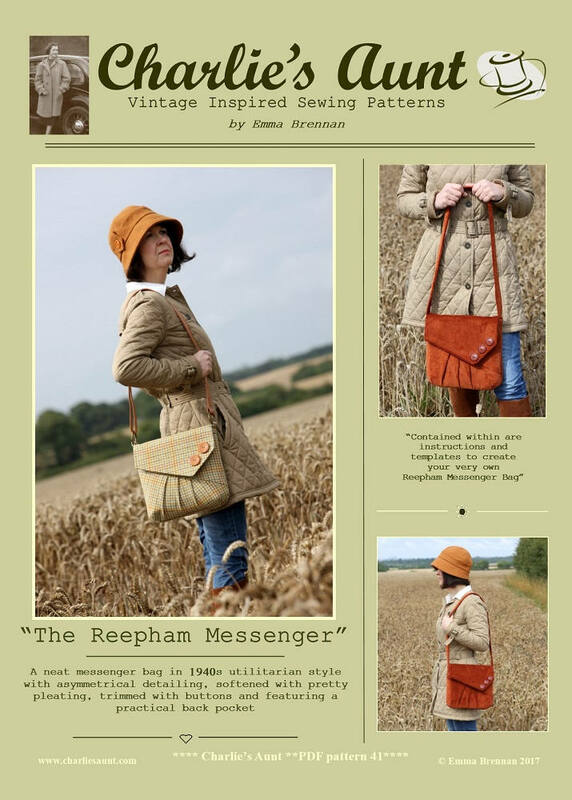 Reepham is trimmed with buttons and features a practical back pocket, which also doubles as a template for an interior pocket template. 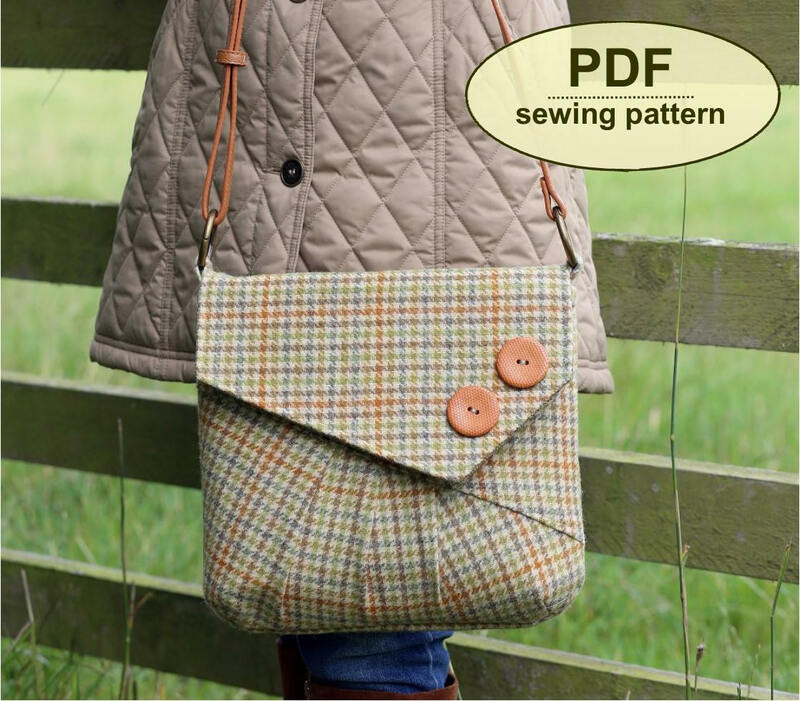 It is perfectly sized for everyday use and makes up beautifully in most fabrics from Charlie’s Aunt signature British tweeds, corduroy and velvet to cotton canvas. 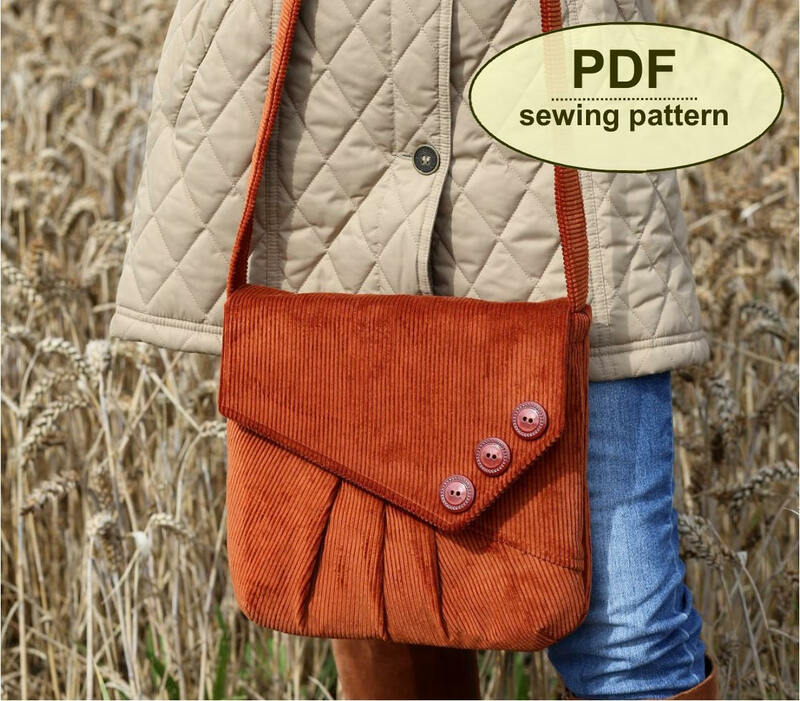 Make with a self fabric strap all in one colour or add a purchased strap. 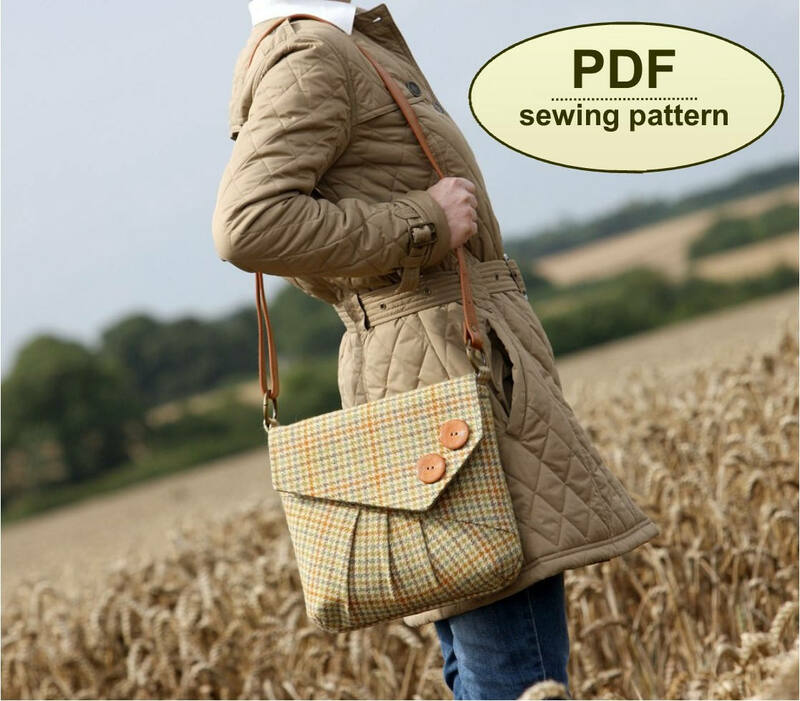 This PDF has 21 pages—10 pages including the cover, general, cutting out and step-by-step instructions, and 11 pattern sheets with the templates, which you must print and cut out. All of the templates are actual size and all seam allowances already added. As all of the templates are too big to fit on one sheet, you must cut out and tape these templates together where shown. Instructions for this are clear.